Chris Fugman serves as the Milwaukee Project Chair for the Both Hands Foundation. Both Hands is a non-profit organization with a two-fold mission. They serve widows by fixing their homes, while raising funds to help willing families adopt. Chris is a mentor for a Nativity Jesuit Middle School graduate. Founded in 1993 on Milwaukee's southside, NJMS educates young Latino boys and focuses on Christian leadership and service. 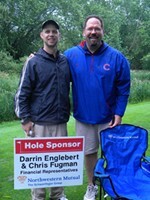 On June 15th at the Grand Geneva Resort and Spa, Darrin Englebert and Chris Fugman partnered with the Make-A -Wish Foundation of WI for the 10th Annual Make-A-Wish Golf Outing. Chris, Darrin, and 180 golfers gathered to raise enough funds to grant the wishes of at least seven Wisconsin children with life-threatening medical conditions. We couldn’t be more excited! 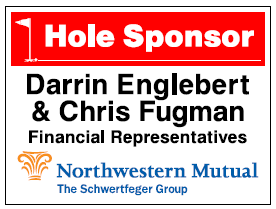 Chris Fugman and Darrin Englebert are proud sponsors of the Make-A-Wish Foundation of Wisconsin.